Peanut Butter Twix Bars - Veganized! It's October which is one of the biggest candy months of the year. It's also the best month of the year because it's my birthday month. What's up. 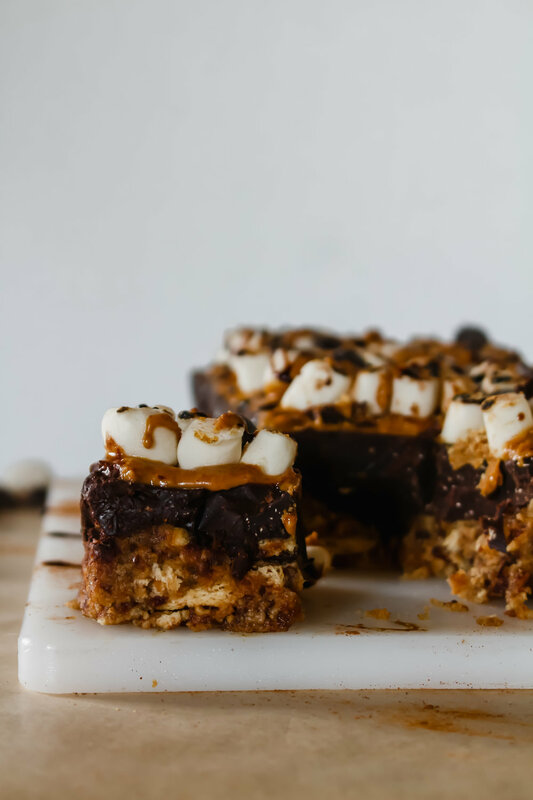 In honor of both of those things we're kicking things up a notch with peanut butter Twix bars, vegan style. And let's be real, vegan style is THE BEST style there is because you get all of the deliciousness without any of the harm to the environment or the animals. These Twix bars are relatively easy to make. Honestly, the most difficult part is waiting for the little buggers to set up in the freezer so you can drown them in melty chocolate. Other than that you shouldn't have any other struggles. Well except the fact that you might eat half of them in one sitting. But hey, that doesn't sound like a terrible problem to me. It's time to embrace the season of candy. I'm so ready.